The University of Cape Town has set a strategic goal to expand and enhance its contribution to South Africa's development challenges. The University is committed to engaged, policy-relevant research and teaching, as well as to expanding opportunities for students to become directly involved in socially-responsive learning. In addition, Economics is a discipline which is closely linked to the national policy agenda in a very wide range of areas, and so the School of Economics has chosen this platform to drive their engagement with social responsiveness. 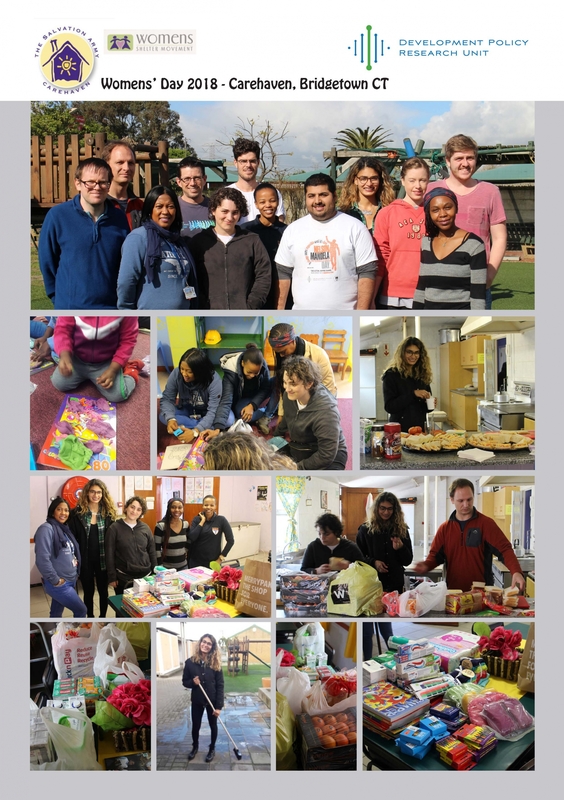 At the DPRU, we share UCT's aim to "ensure that our research contributes to the public good through sharing knowledge for the benefit of society and through fostering the acquisition of the civic literacy, knowledge and skills necessary to build a more just, equitable and unified South African society". 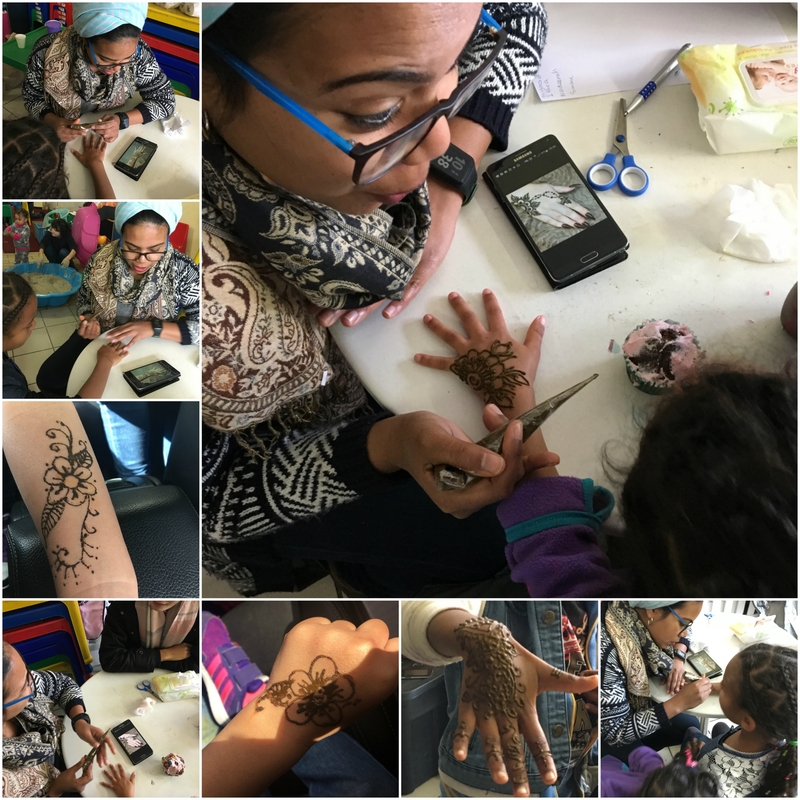 The DPRU celebrated National Woman's Day on the 7th August by doing a variety of outreach activities at Carehaven Shelter, in Bridgetown, Cape Town. Carehaven's mission is to provide residential shelter and refuge to abused women and their children. They also focus on creating opportunities for the women to find healing, and to learn skills that will empower them to cope as self-reliant members of society. DPRU staff donated clothes, furniture, linen and food, as well as toiletries including soaps, facecloths and feminine hygiene products, to help the women who are sheltered there. 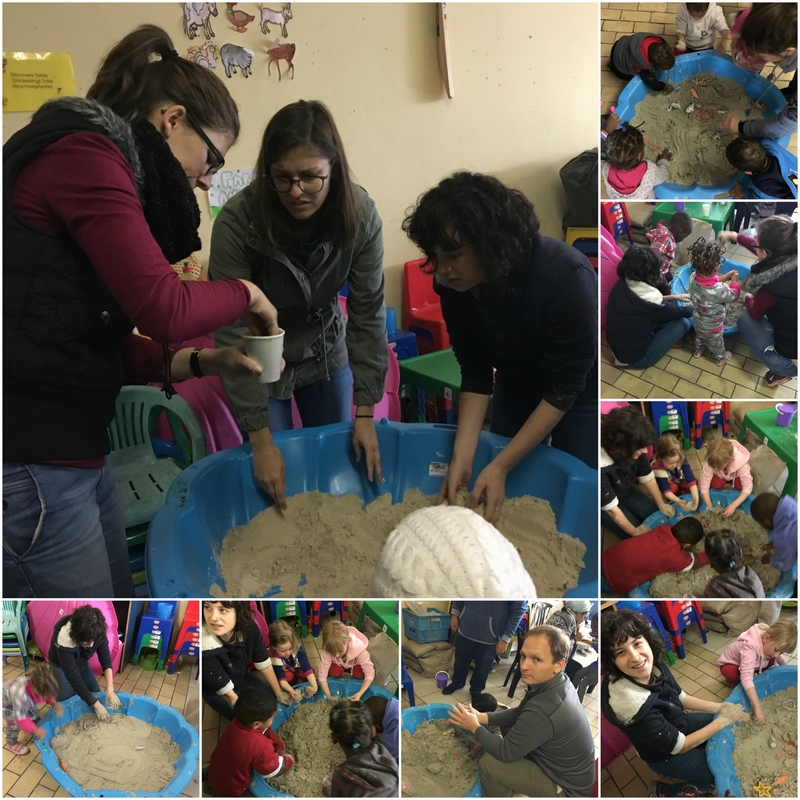 They also donated playdough, colouring books and crayons for the children attending the on-site crèche. 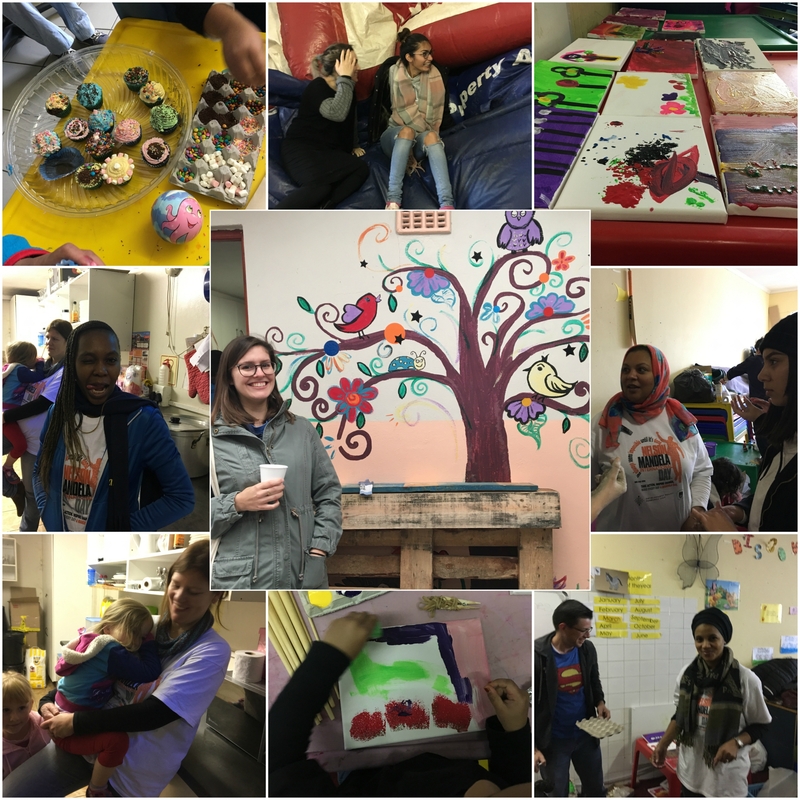 Two main activities on the day included re-painting one of the meeting/therapy rooms to make it a more inviting and attractive space, and preparing a simple lunch for the women, children and staff at the shelter. DPRU staff assisted in packing about 1000 parcels of feminine sanitary products on Wednesday, 31st May 2017. The event was organised by the Commerce Transformation Committee. 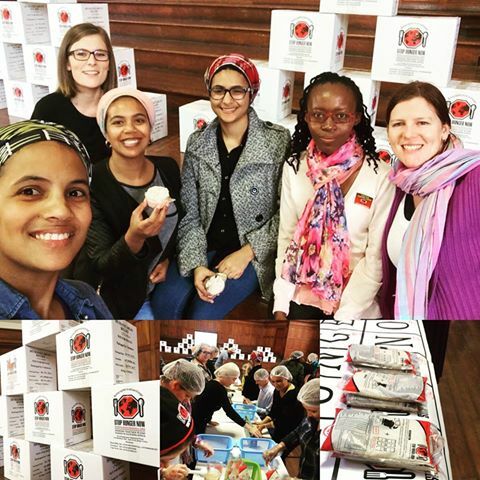 The packages were delivered to a girls school in Khayelitsha. 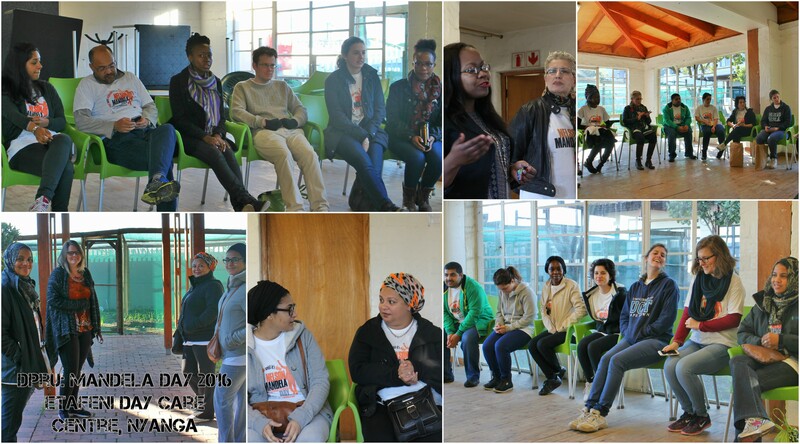 DPRU commemorated Nelson Mandela International Day, by visiting Etafeni Day Care Centre Trust (www.etafeni.org). 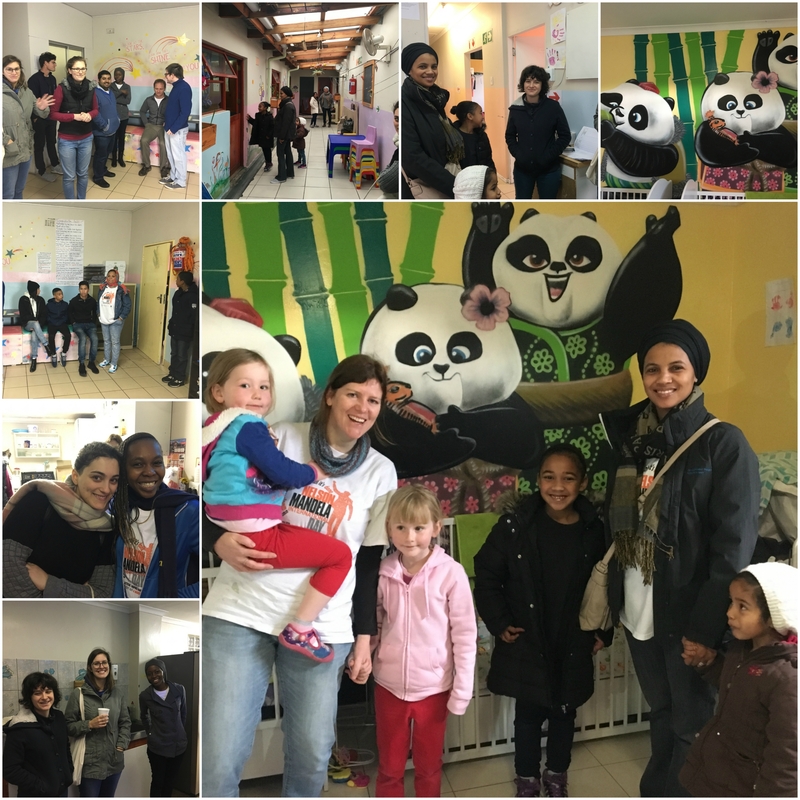 Etafeni is a multi-purpose centre that provides a model of holistic sustainable community-based care for AIDS-affected and vulnerable children and their caregivers based in Nyanga, Cape Town. 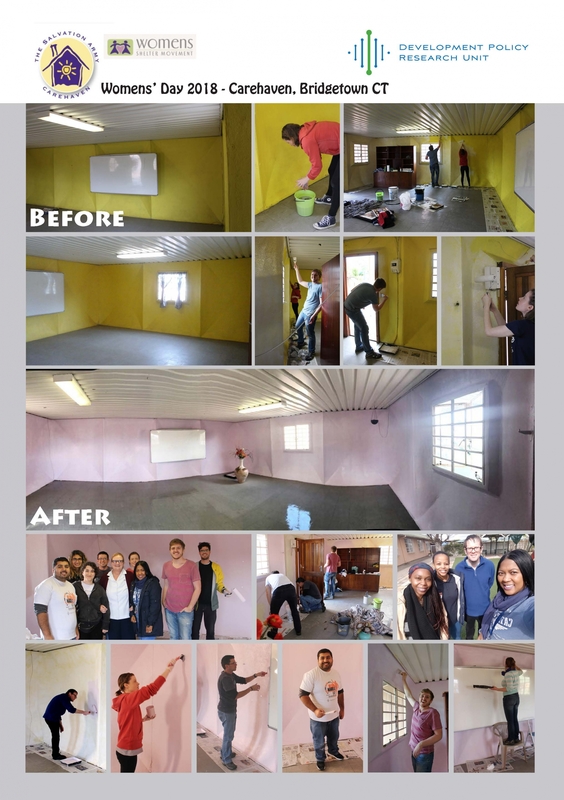 ‪The team gave their time, energy and enthusiasm in the spirit of “Time to Serve”, with the Unit also donating non-perishables and toiletries for food parcels, that are given to the community’s most vulnerable families as well as cleaning materials and paint for the centre. 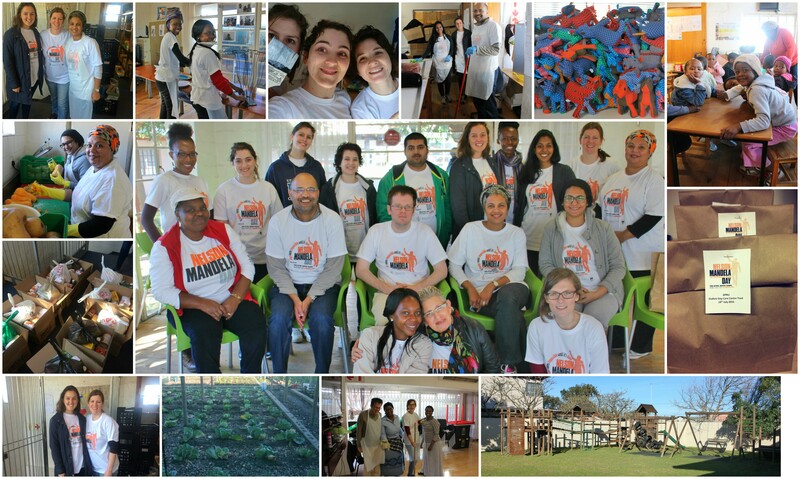 After an introduction to the various programmes at the Centre such as Fit for Life, Fit for Work; Women’s Wellness and Skills Development; and Families Matter, the team split into three working groups for cleaning, painting offices and kitchen duty in preparing vegetables for the pre-school children’s meals. 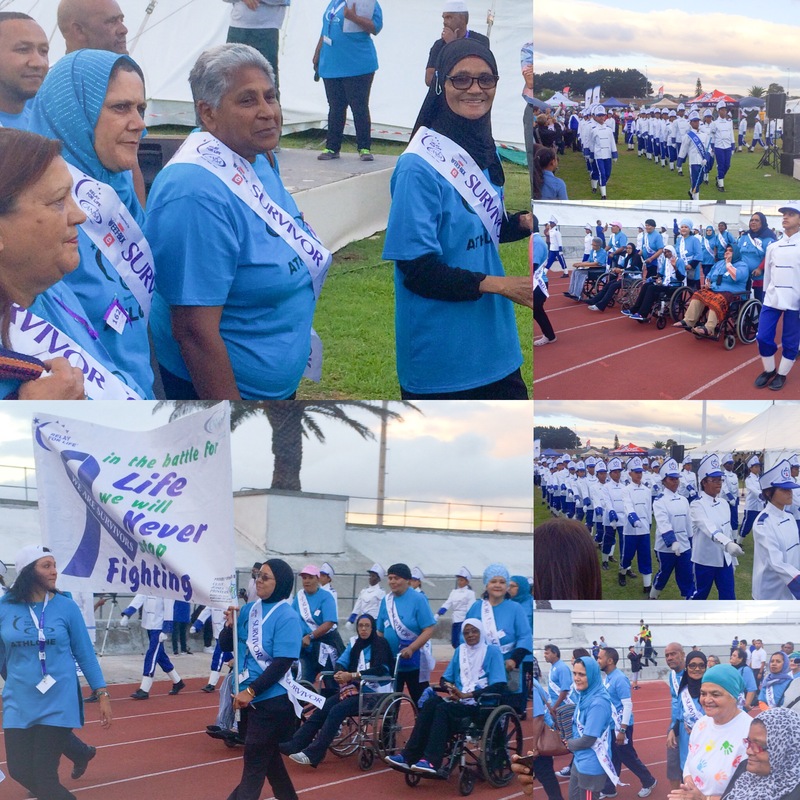 The DPRU sponsored team T-shirts for the 2016 CANSA Relay For Life, in Athlone, Cape Town, on Friday 18th March. 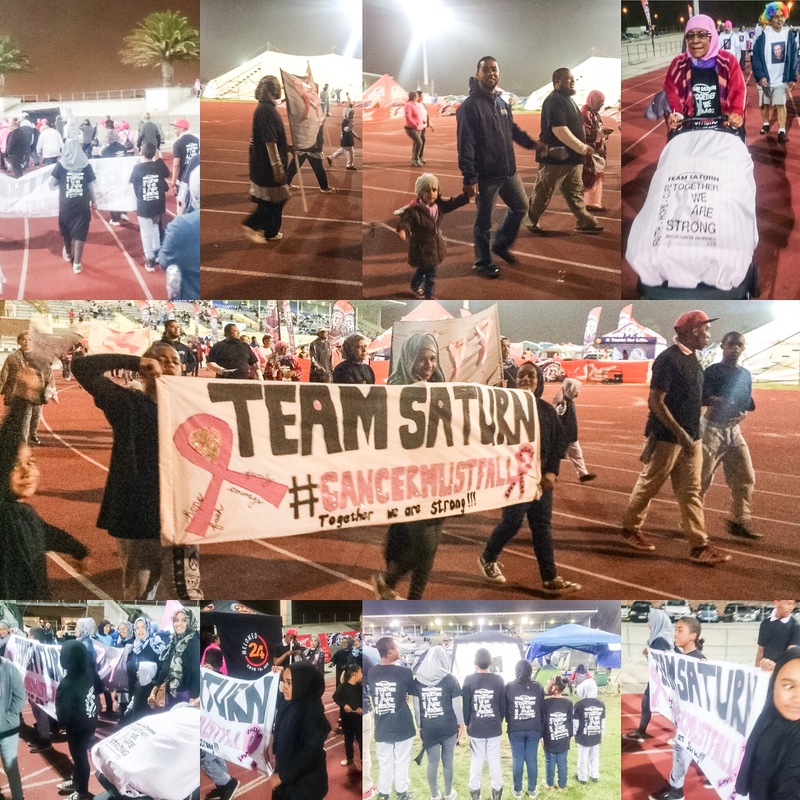 DPRU Administrative Assistant Ms Waseema Petersen participated with “Team Saturn", and co-ordinated their fundraising efforts. 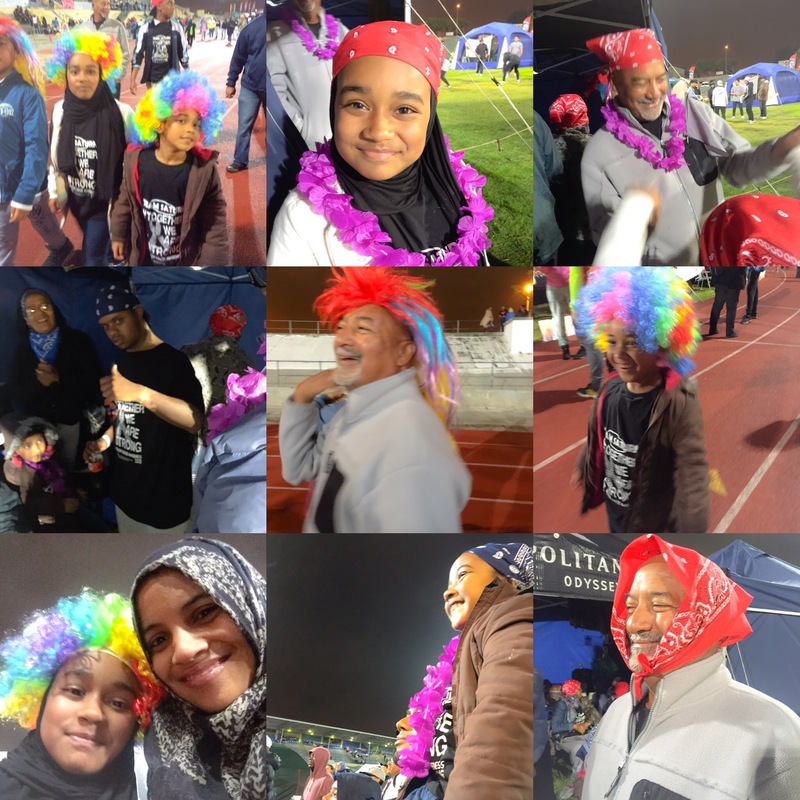 An international movement, the annual community-based relay is held overnight, for 12 hours, and includes a Luminaria ceremony and a survivor’s lap of honour.